You’ll notice today that the build up of day trippers and weekenders is increasing as we approach the weekend. 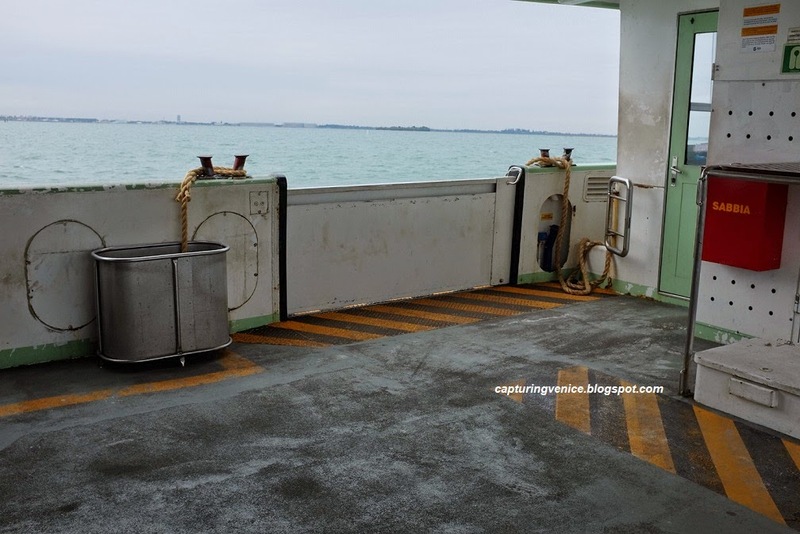 It’s a good day to get out to some of the islands of the Venetian lagoon. The first time I went to Venice, Murano, Burano and Torcello were still fairly sleepy places with little infrastructure for tourists. On my last visit, I was surprised how much development has taken place, even in Torcello. You have to experience the Venetian lagoon to appreciate the magnitude of the achievement of Venice. As your vaporetto motors north, consider how the security of the Venetian Republic relied on the difficulty of navigating its shallow lagoon waters. Look out for the many deserted and derelict islands that you’ll pass, many of them now subsiding into the lagoon. This is how Venice started. All the sites that you’ve seen this week – the Doge’s Palace, the enormous campanile that you climbed, Tintoretto’s amazing cycle of paintings at San Rocco, the vast golden interior of the Basilica di San Marco, those stunning palazzi lining the Grand Canal – they all grew from marshy islands just like these. Consider how desperate the first settlers of Venice must have been to choose this place as their home, and how clever, inventive and persistent they must have been to do more than survive on fishing and trade in salt. As you journey in the lagoon, remember that by 16th century, the Venetian Republic – the Queen of the Adriatic – held a monopoly on Mediterranean trade and colonised the whole of the north-east of modern day Italy, from the Adriatic to the Alps. The Republic commanded colonies and Venetian settlements as far away as Alexandria and Constantinople, as well as Cyprus, Candia, Dalmatia and Istria. And it all grew from this lagoon. I would start the day as early as possible by walking to Fondamente Nuove to catch the vaporetto to these northern islands. (If you walk to Fondamente Nuove via Campo SS Giovanni e Paolo (in dialect: San Zanipolo), you can take the opportunity to grab a warm brioche and cappuccino at Rosa Salva). 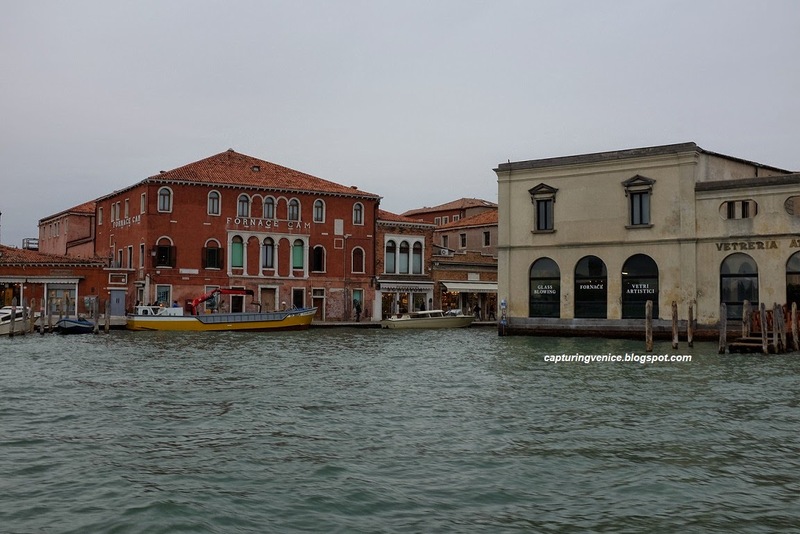 The vaporetto will call at stops on Murano, Burano and Torcello. I would head directly to Torcello, and hop off at Burano and Murano on the way back to Venice. Torcello is one of my personal favourite places in Venice. 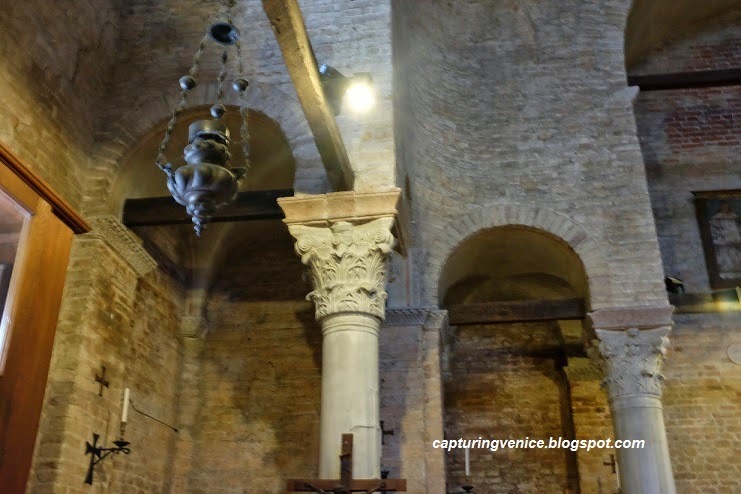 First settled in the 5th century, it became the seat of the bishop of Altinum in 638 and in 639 its cathedral, Santa Maria dell’Assunta was founded. By the 14th century, Torcello was home to 20,000 residents, but its canals were beginning to silt up and malaria ensued. By the end of the 15th century, the island was mostly deserted and today only a handful of people live here. Your first stop (after the souvenir and coffee cart) will be the church of Santa Fosca. I love the bare, elegant interior of this place, built in the 11th and 12th centuries. The first time that I ever experienced absolutely serenity and silence was in the quiet atmosphere of Santa Fosca. Most of the cathedral dates from the 11th century and with its wall and floor mosaics in the Byzantine style, its interior is extraordinary. The small Museo di Torcello is also worth a quick look to see some of the archaeological relics including ceramics, jewellery and mosaic fragments. Next, hop back on the vaporetto toward Burano, famous for its colourfully painted houses and (lost) ancient lace-making traditions. It’s still largely a fishing village, and it’s interesting to look at the fishing nets and boats lining the canals. You can also visit the Scuola del Merletto (lace school), which opened in 1872 when lace-making skills on the island had declined to the extent that just was woman was available to pass on her skills and knowledge to the next generation. Sadly, the school has not run regular courses since the 1960s, although you can view displays of traditional lace-making techniques. There is also a painting by Tiepolo in the island’s sole church, San Martino. Everyone knows that Murano means glass. Today, Murano is the city’s sole surviving manufacturing area and the island seems to be covered in glass souvenir shops. If you’re there at 10am, I would make a bee-line for the Museo del Vetro (it opens at 10am) – the collection is absorbing, as well as the technical displays of glass-making techniques. If you’re too early for the museum, head straight to Santi Maria e Donato, a beautiful 12th century church. Its mosaic floor is unforgettable. Now it’s time to head back to Venice. 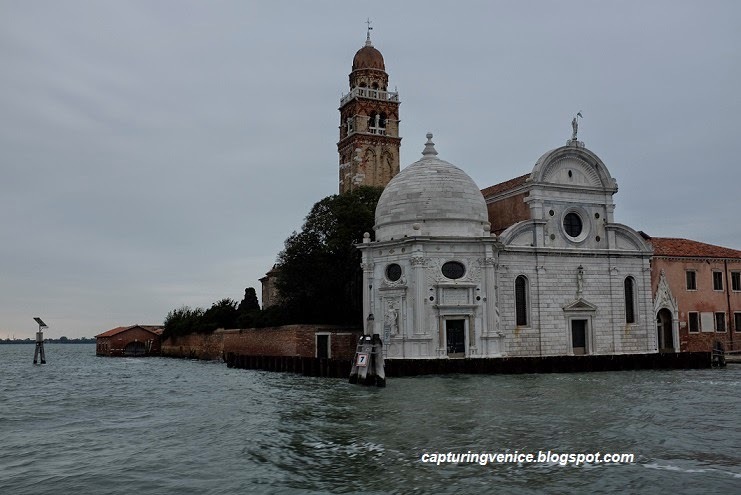 As the vaporetto nears Fondamente Nuove, you’ll again pass the cemetery island of San Michele. If you are interested, and have the time, you could hop off here to find the graves of well-known foreigners in the Protestant section including Diaghilev (whose graves often has ballet slippers left by admirers) and Stravinsky. At Fondamente Nuove, hop off and head to SS Giovanni e Paolo (or as it’s known in Venetian – San Zanipolo). A Gothic, Dominican church, it’s huge interior contains the tombs of many past Doges. I particularly love Piazzetta’s St Dominic in Glory ceiling in the Capella di San Domenico. There is also a 15th century Murano stained glass window in the south transept – a rare opportunity to see stained glass in Venice. 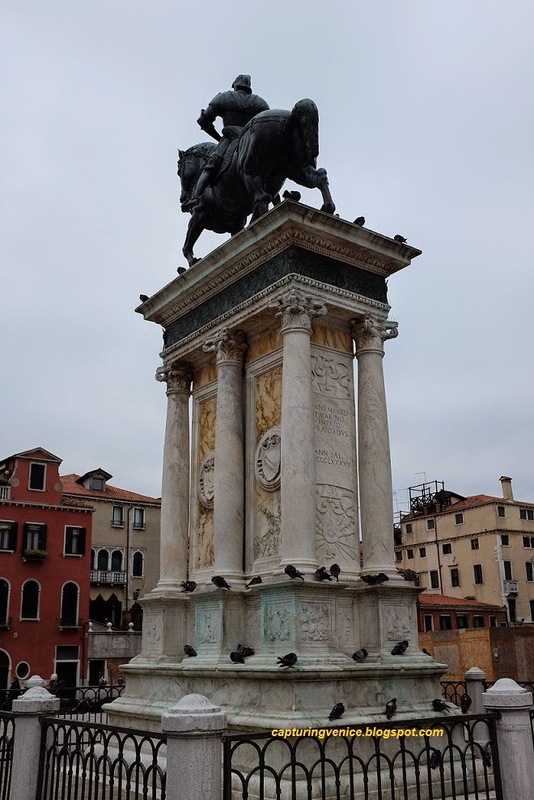 This gorgeous equestrian statue of condottiere Bartolomeo Colleoni is one of my favourites in Venice. Set high up on a pedestal, it was begun by Florentine Andrea Verrochio and completed by Leopoardi following Verocchio’s death. I love the dynamism and power of the horse. The restored interior of the Scuola (whose facade and foyer now form part of Venice’s hospital) opened in late 2013. I’ve never been, so if you get there, please send me a photo and your review!! Next, walk toward Campo Santa Maria della Formosa. It’s a huge, bustling campo filled with local shops, some hotels, fruit vendors and a newsstand and tucked into a corner, is the Palazzo Querini-Stampalia with its picture gallery and lovely ground-floor rooms and garden by Venetian architect, Carlo Scarpa. It’s worth stepping into the Palazzo Grimani for its impressive interiors. 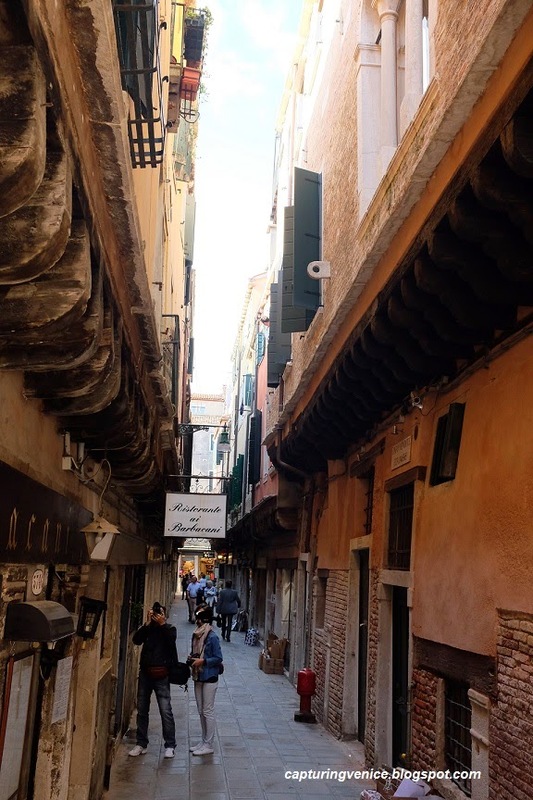 Finally, if you walk back towards Rialto, take the Calle del Paradiso – a gorgeous Gothic street with a 15th-century arch at one end depicting the Madonna sheltering two people. The arch commemorates the marriage of Alvise Mocenigo and Pellegrina Foscari, whose dowry included 26 houses in this street. Look up at to see the barbacane – clever devices to extend living space within the houses. There’s a fabulous bookstore, Filippi Editore on this street, which specialises in titles on Venice in both English and Italian. Tonight would be a good evening to wander through the streets of Venice – perhaps to return to some of the places that you’ve explored during the day in the past week, and see what they look like at night. Or, you could take a walk to the Piazzetta to enjoy that quintessential view across the Grand Canal toward the Punta della Dogana and San Giorgio Maggiore, and then stroll down the Riva degli Schiavoni enjoying the view. You could also take the opportunity to go to one of the many concerts that are always advertised on billboards throughout the city – as a bonus, this will also give you the chance to get inside some of the fabulous concert spaces in the city from the opera house, La Fenice to the churches of San Vidal, La Pieta, the Ospadeletto etc. If the weather is fine, you could also splash out on a meal or post-dinner drinks at one of the many bars with gobsmacking views including the top of the Hotel Danieli, the balcony of the Gritti Palace, or the Monaco e Grand. 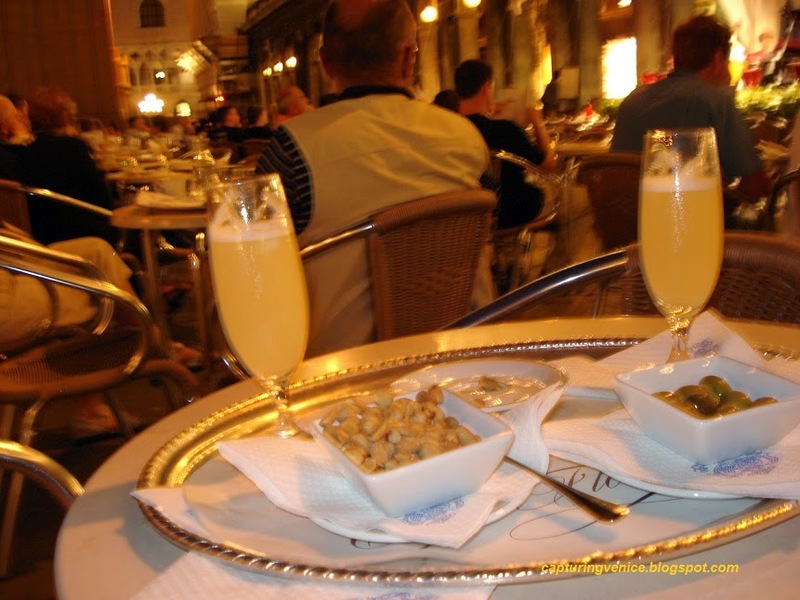 If you loved Caffe Florian, you could return there. If you prefer something rowdier (and cheaper), you could also head to Campo Santa Margherita which will be pumping with university students having a night out. Well done! I hope you've inspired some people to see more of this wonderful city. Thanks Yvonne! I hope so too - and even more importantly, I hope any potential first-time visitor sees that you can just 'do' Venice for a day trip, and is encouraged to stay for several days in the city and support the local businesses especially the smaller ones.